The Smiths Station City Council voted to name Jason Stewart and Larry Hart as the new faces of the city’s parks and recreation department during their regular meeting Tuesday night. During the group’s work session, Mayor Bubba Copeland explained that the previously full-time position of director will be split by Stewart and Hart, with Stewart serving as the director of programs and scheduling and Hart as the manager of facilities. “They will be working parallel, together, in these new roles. Larry will the 9-5 guy and Jason will handle all the scheduling, planning and overseeing of parks and recreation activities. 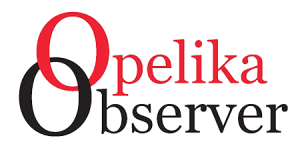 We will have a monthly meeting where we can sit down and plan and figure out what needs to be done,” Copeland said. The council also approved membership changes on the city’s zoning board of adjustments. Shaun Ward was voted to become a regular member of the group, and Copeland noted that Alice Spengler will serve as a supernumerary member following Charles Shaw’s resignation. motioned to move the next meeting’s work session from 5:30 p.m. E.S.T. to 5 p.m. E.S.T. heard updates on the progress of the Jones Store Museum and planned veterans memorial. The Smiths Station City Council meet on the second and fourth Tuesday of each month, with their work sessions normally starting at 5:30 p.m. E.S.T. 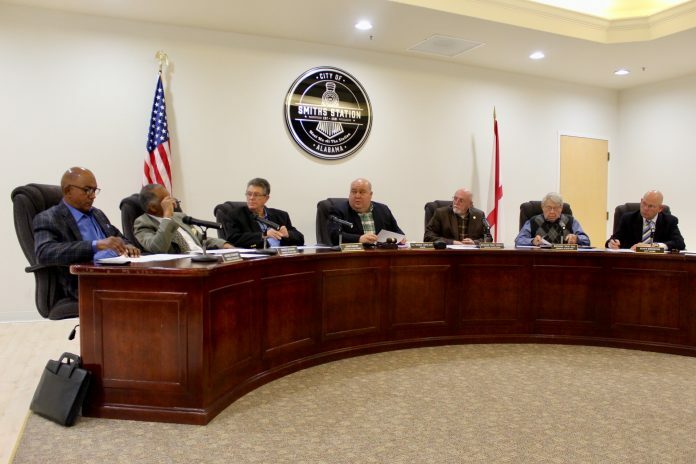 and regular meeting at 6 p.m. Their meetings are held within the council chambers of the Smiths Station Government Center, which is located at 2336 Lee Road 430. For more information, call 334-297-8771 or visit www.smithstational.gov.